A new study published in JAMA Pediatrics raises questions about the pertinence of admissions to U.S. intensive care units for newborn babies. The study suggests that overall admission rates to neonatal intensive care units (NICUs) are on the rise—regardless of birth weight. Researchers examined data from about 18 million live births in the U.S. from between January 2007 and December 2012. The study covered 38 states and the District of Columbia. Although the implications as to why aren’t exactly clear, researchers believe the findings raise questions about how NICU admissions are being used. Harrison, W., et al., “Epidemiologic trends in neonatal intensive care, 2007-2012,” JAMA Pediatrics doi: 10.1001/jamapediatrics.2015.1305, published online July 27, 2015. 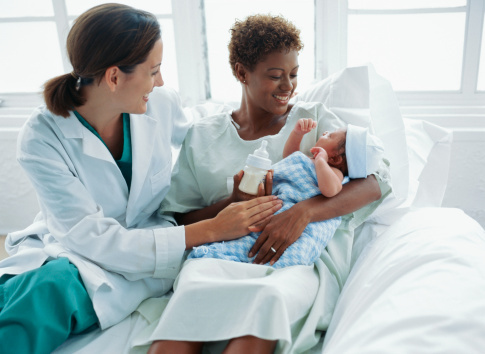 MacGill, M., “Rise in newborns being admitted to intensive care,” Medical News Today web site, July 28, 2015; http://www.medicalnewstoday.com/articles/297335.php.